"MBVISS MBIS MBISS BPISS MBPIS BBIS Am GCH. Can GCH Ex. 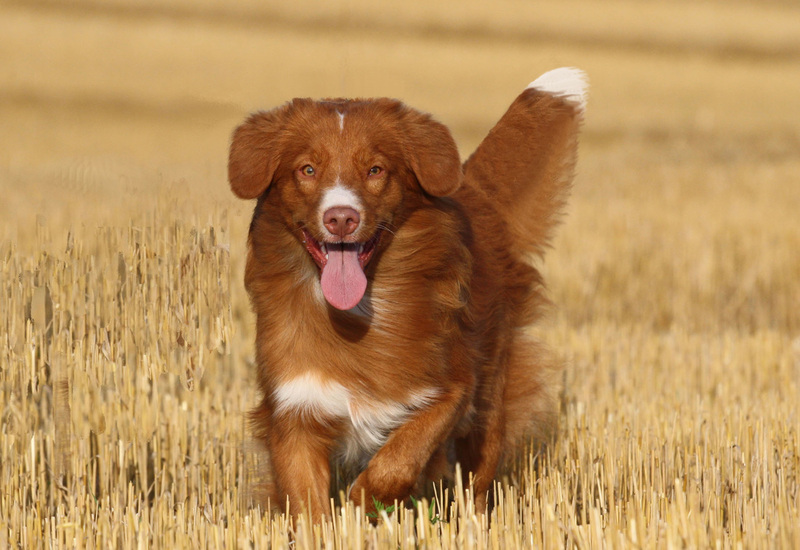 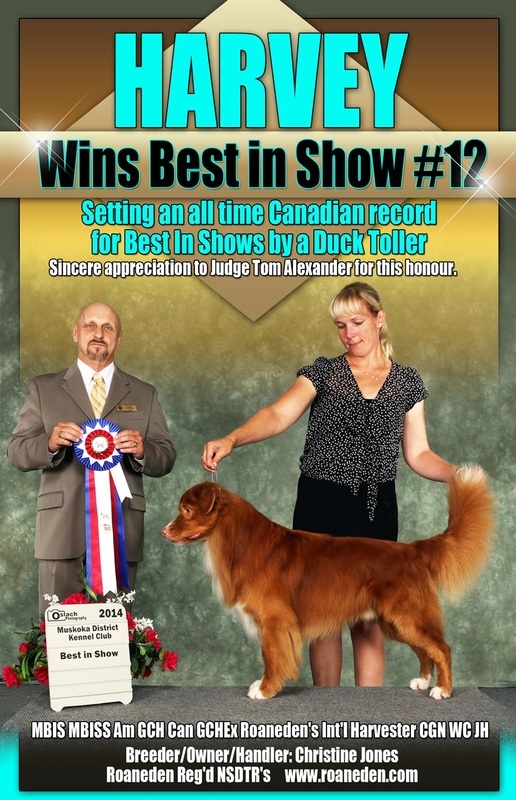 ​Harvey is Canada's Top Winning Nova Scotia Duck Tolling Retriever of All Time!!! 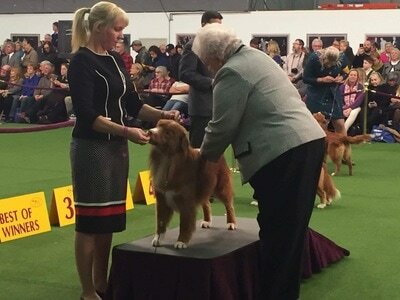 Harvey wins the 2018 American National Toller Specialty with an entry of 166 Tollers, from the Veterans Dog Class. This is his second American National win! 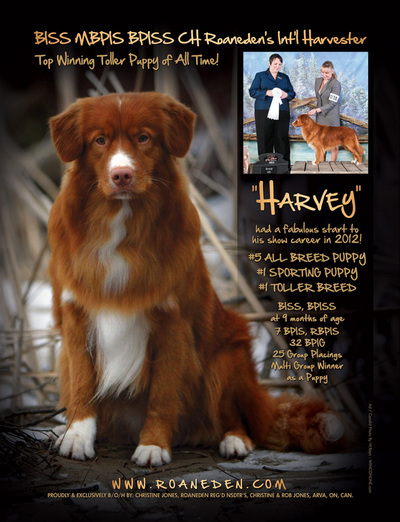 Harvey is a once in a life time dog and a breeder, owner handlers dream come true. 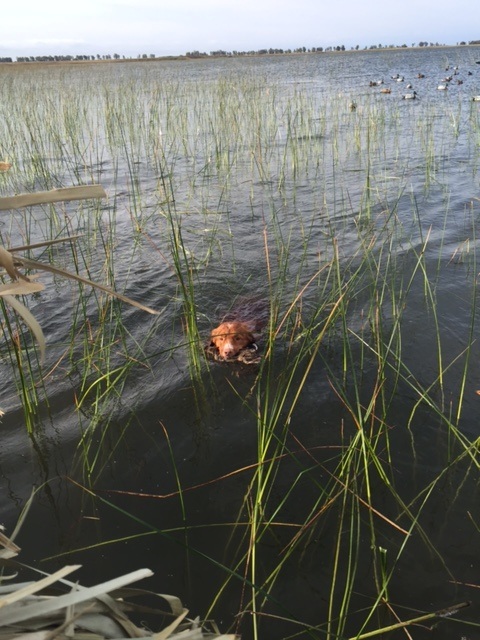 Harvey holds an incredible show record which will hold in the history books for years to come. 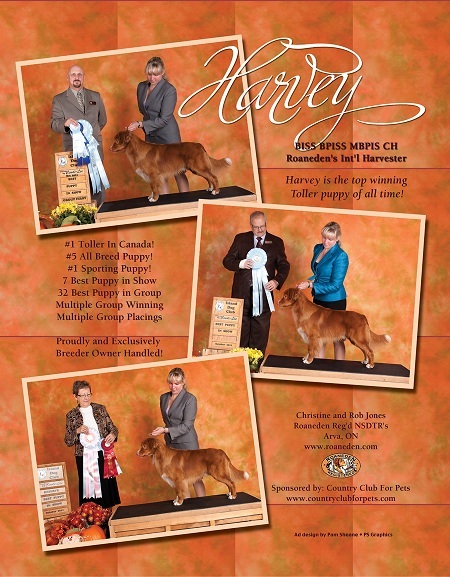 In addition to being a top winning, record setting show dog, Harvey is a beloved family member. 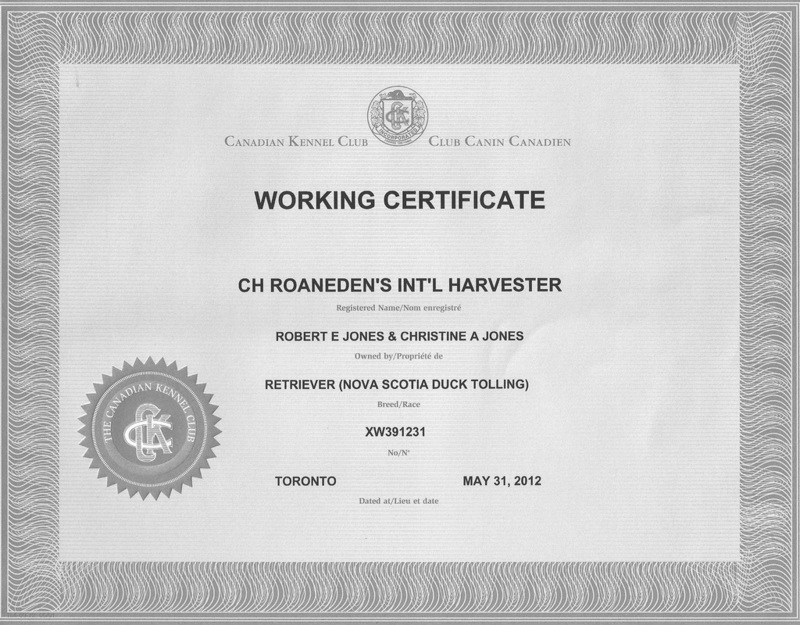 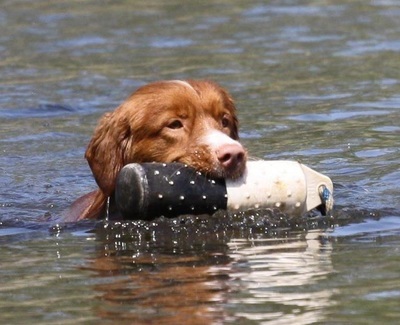 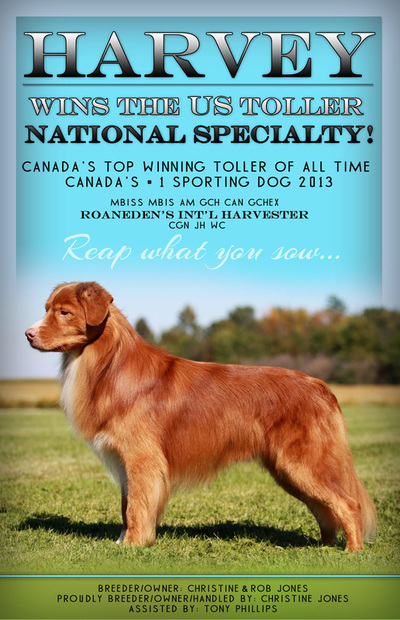 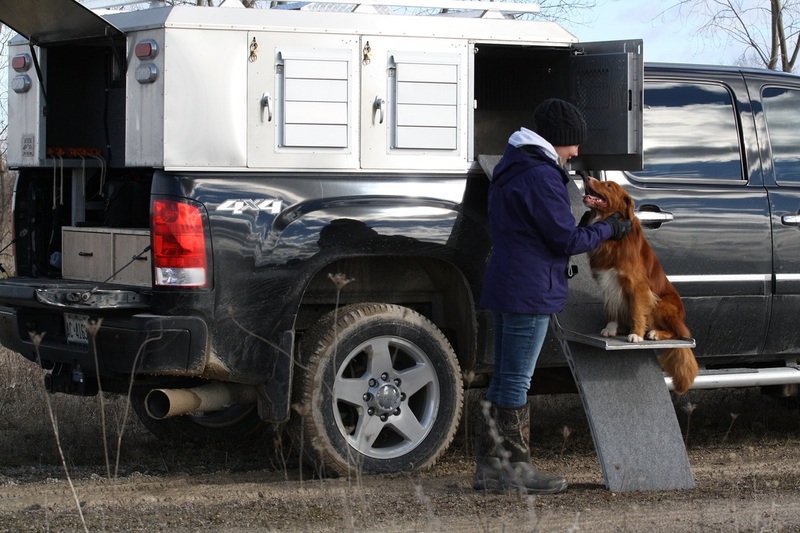 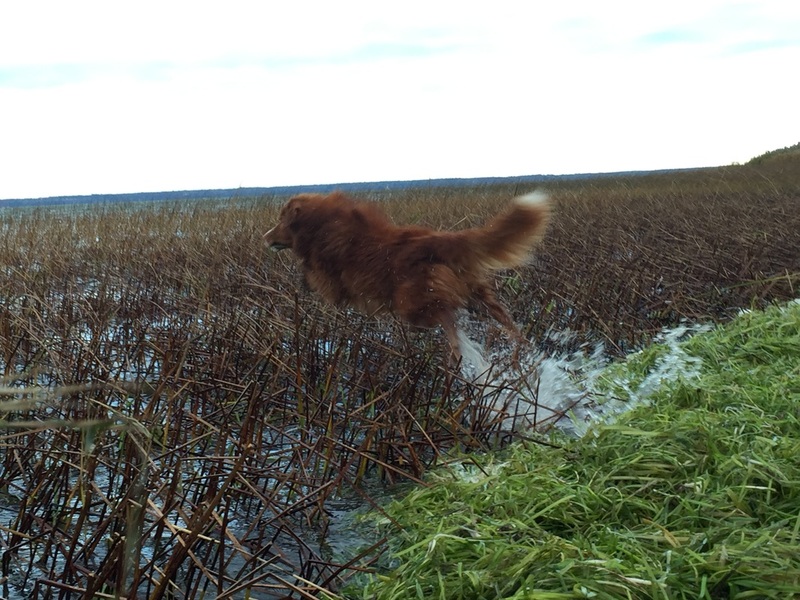 Harvey is the Top Winning Duck Tolling Retriever in Breed History, Ranking #1 Sporting Dog in Canada for 2013 and #6 Among all Show Dogs in Canada ( and of course Top Toller in 2013)! Harvey is the only Toller ever to rank in the Top 10 among all Show Dogs in Canada!!!! He has 12 CKC Best in Shows to date ( the most ever by a Duck Tolling Retriever ), UKC BIS, 6 Best in Specialty Show wins ( including Winning the American National Specialty TWICE !!! 2018 with an entry of 166 Tollers and in 2014 with over 230 Tollers entered, largest to date ) and held the record for Top Winning Duck Tolling Retriever Puppy in Breed History until 2018****now held by his grandson Griffin****. He has 7 Best Puppy in Show wins and a Best Puppy in Specialty Win, where he also won Best in Specialty over all the Adults. 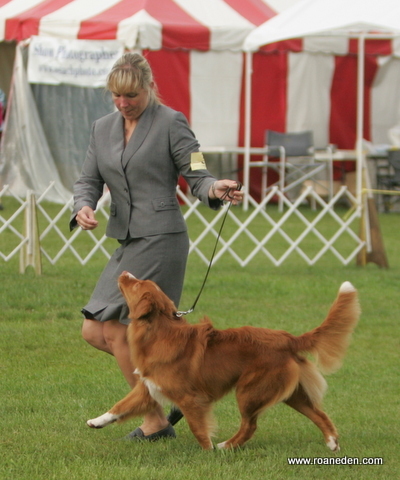 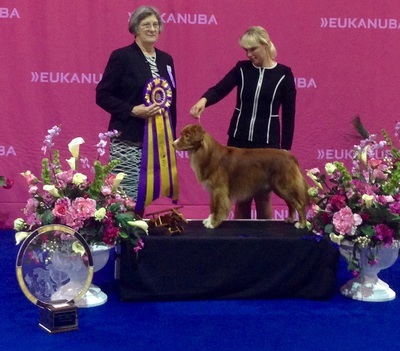 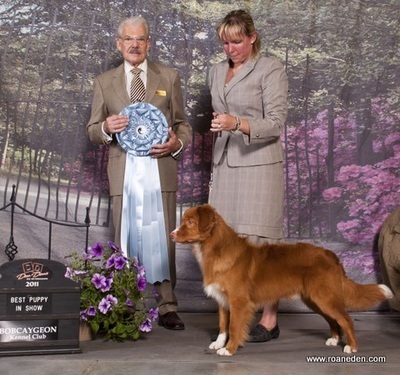 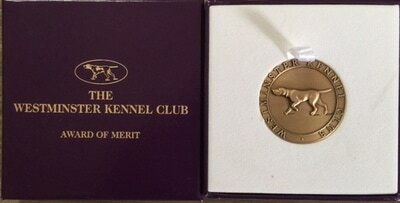 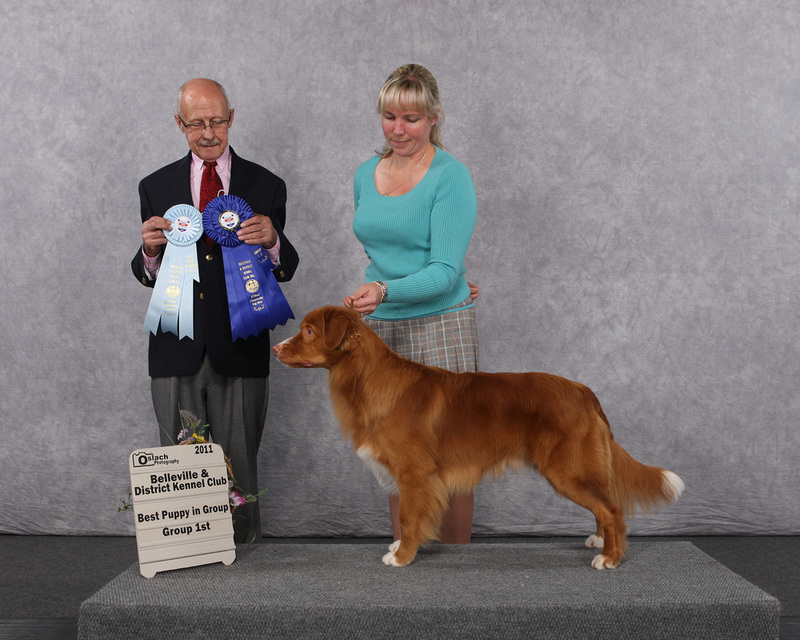 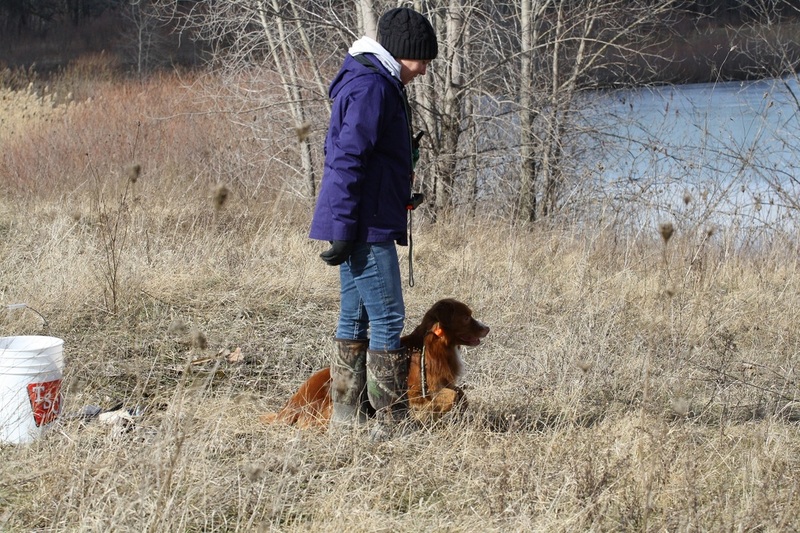 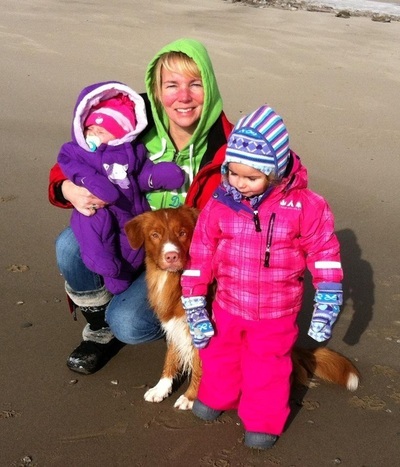 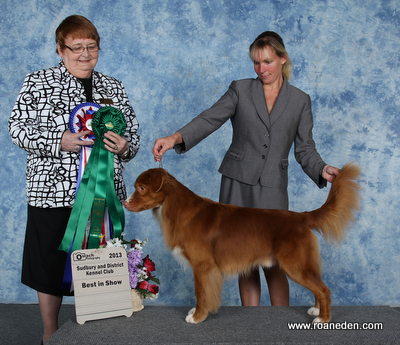 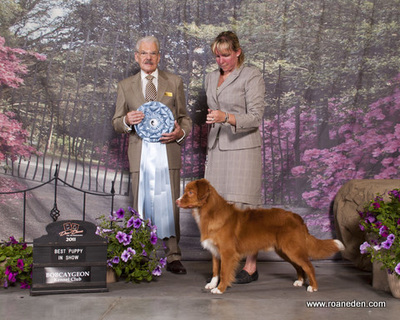 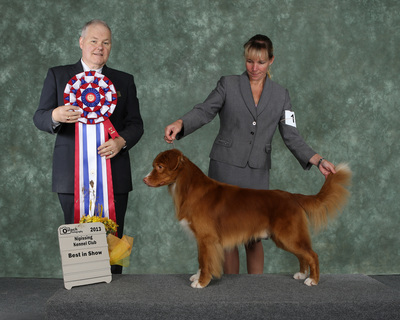 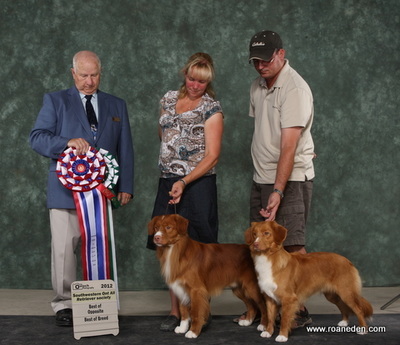 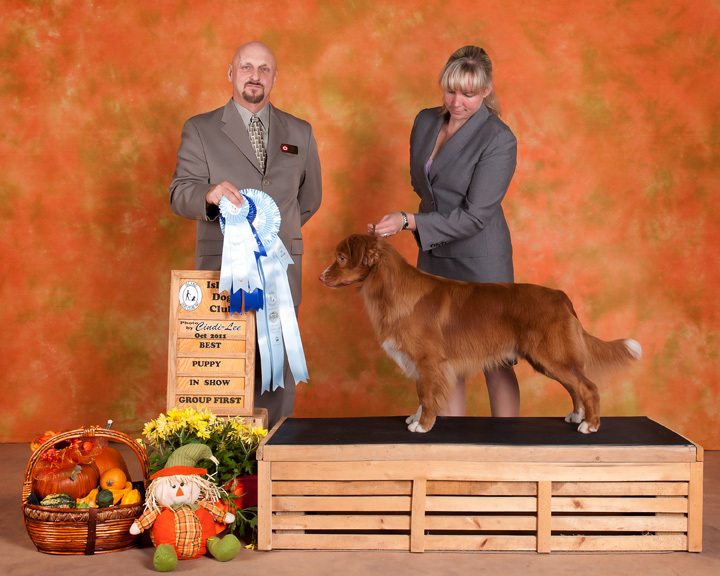 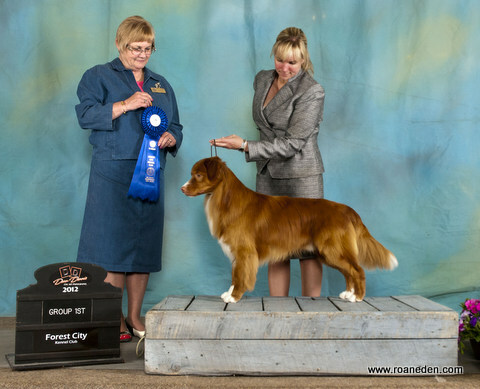 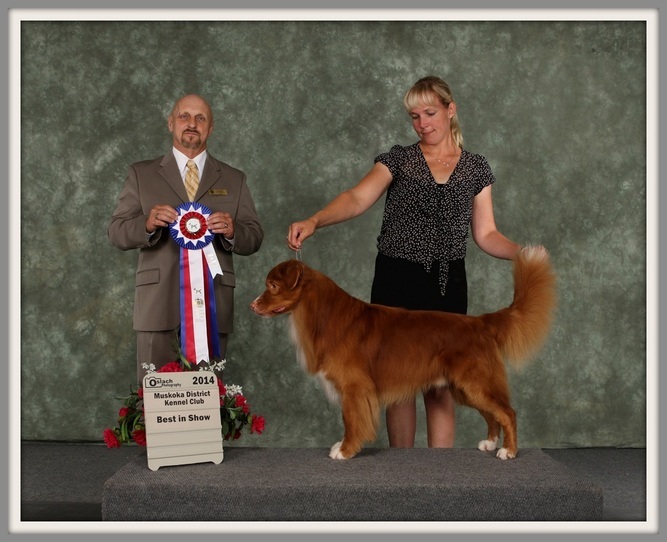 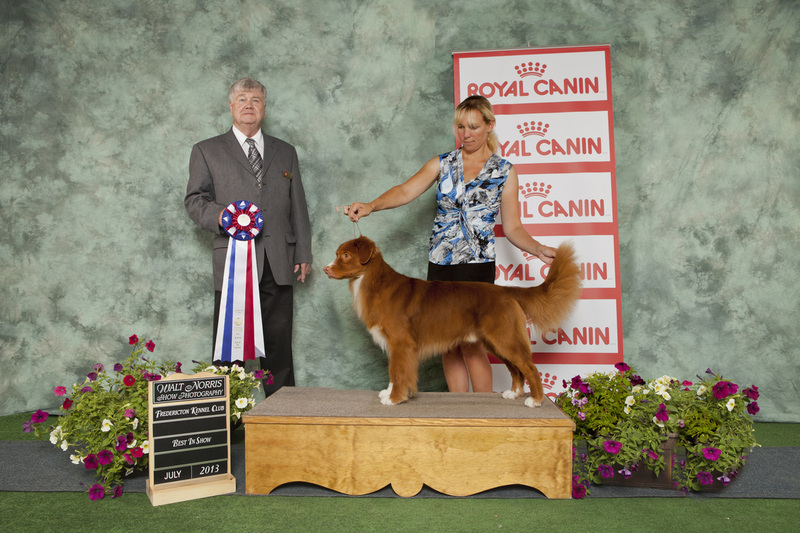 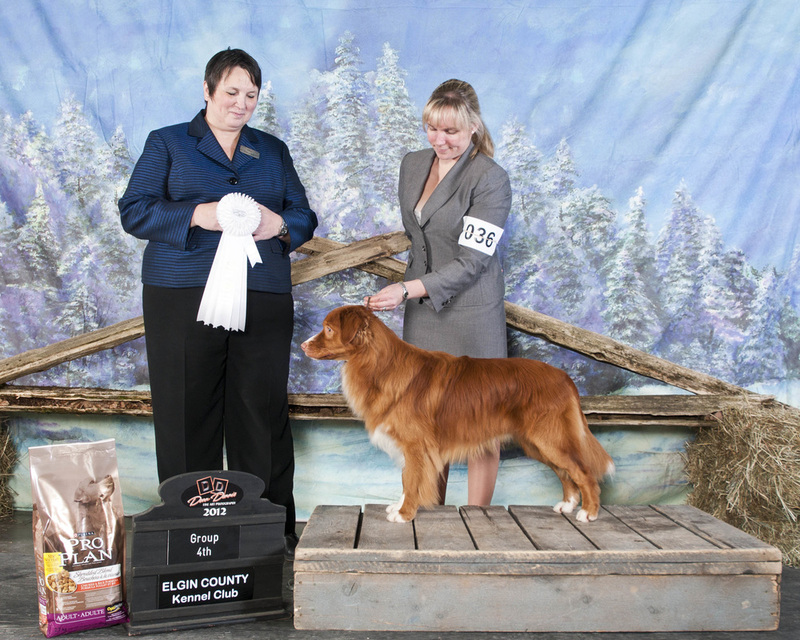 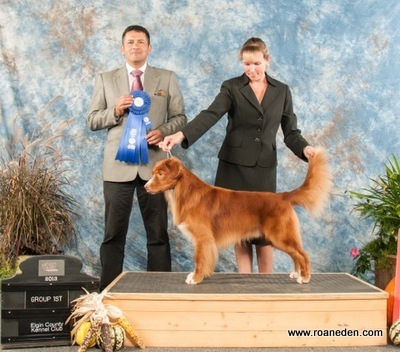 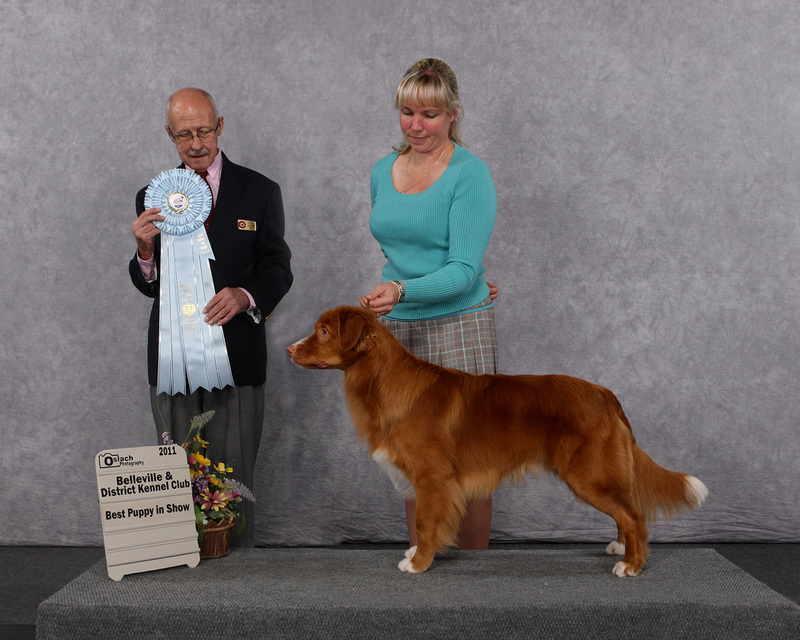 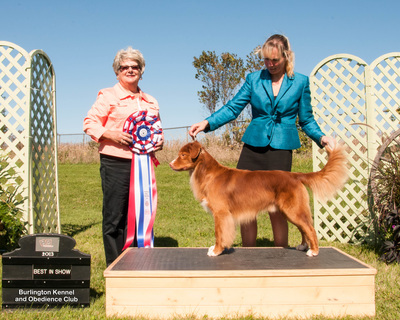 Harvey was #1 Sporting Puppy in Canada in 2011 and #1 Toller in Canada in 2011, 2013. 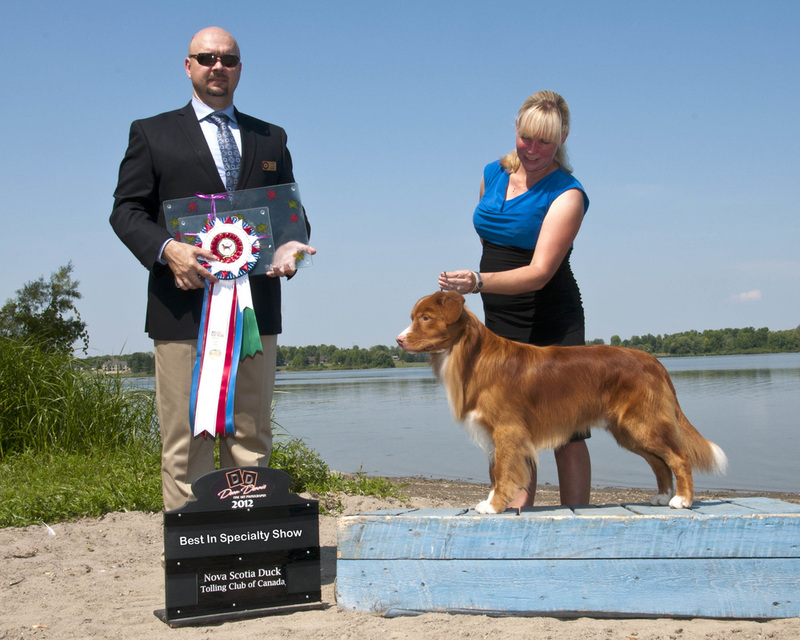 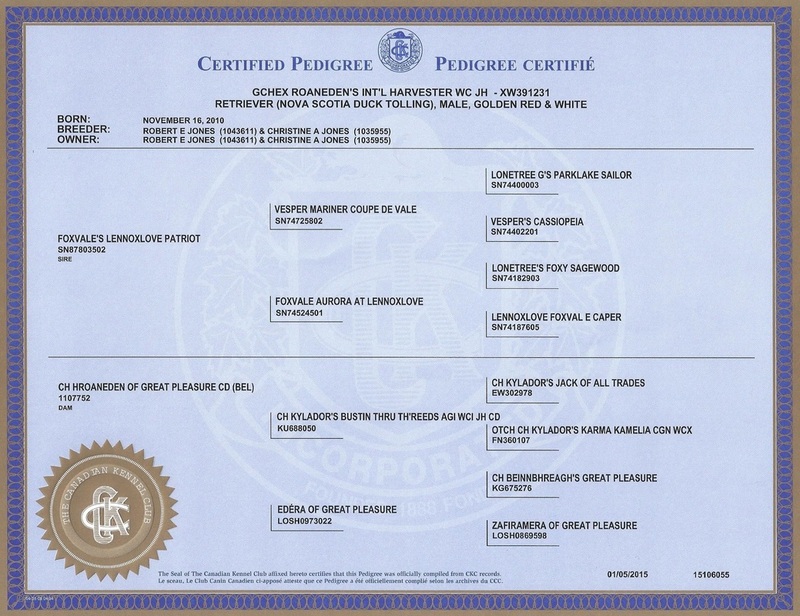 We are very proud of Harvey and his show ring accomplishments, but not limited to a show dog, he is also an extremely trainable dog, with plenty of natural ability to work in the field. 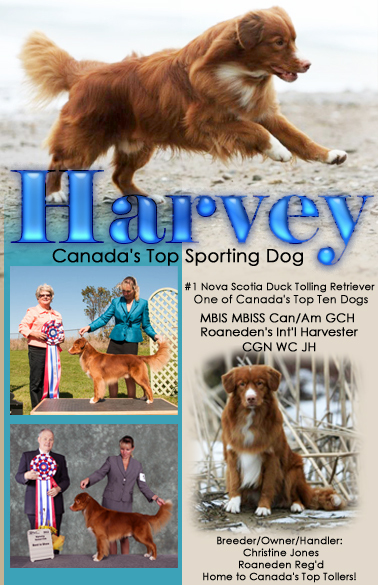 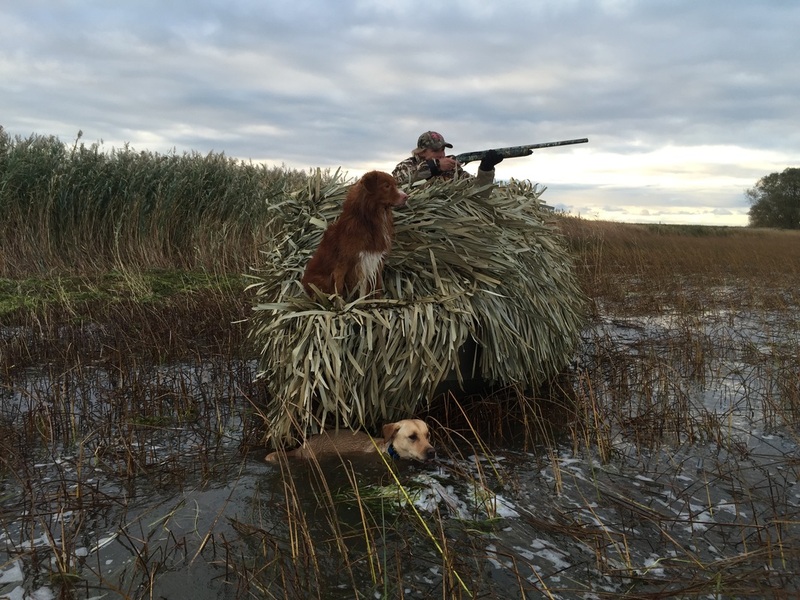 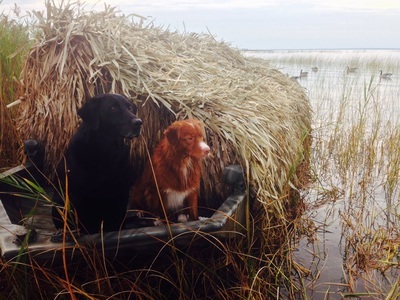 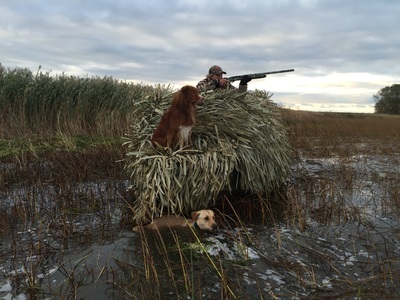 Harvey is semi-retired from the show ring, and is enjoying being a Hunting dog. 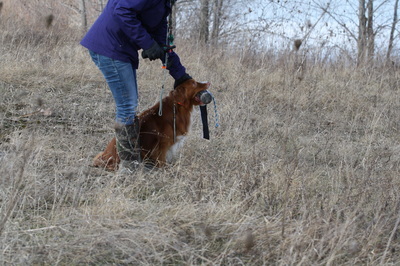 He is currently being trained for advance Field work. 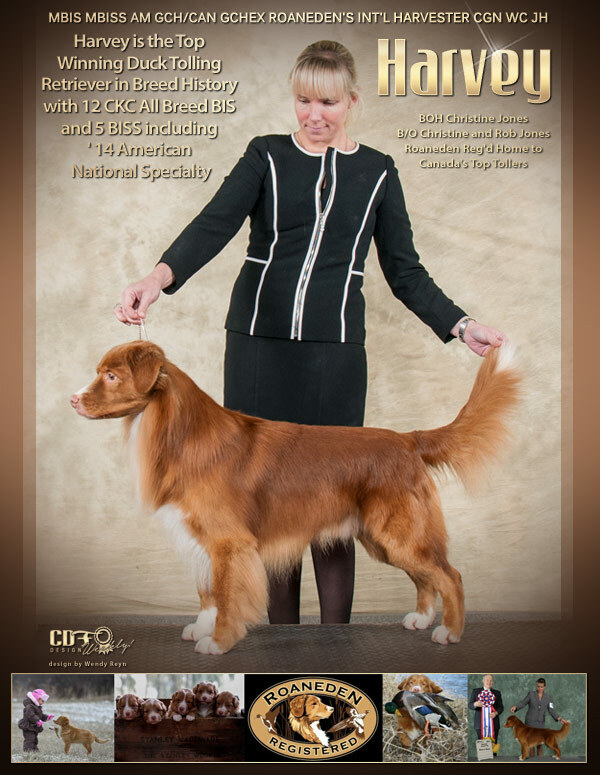 *Nov '18 - Harvey wins Best Bred by Exhibitor in Show at the Aurora and District Kennel Club Shows! 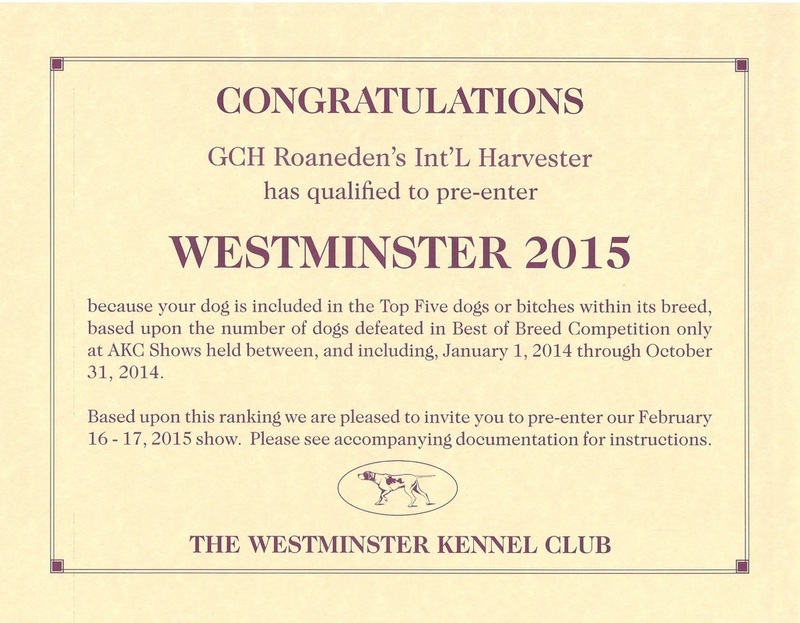 He also picks up a Group 2nd and Group 3rd, two Best Veteran in Group and Best Bred by Exhibitor in Group. 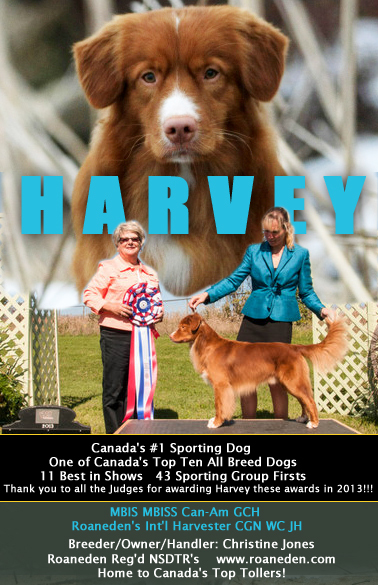 Harvey is currently #3 Toller in the USA and #4 Toller in Canada with less than a week of showing. 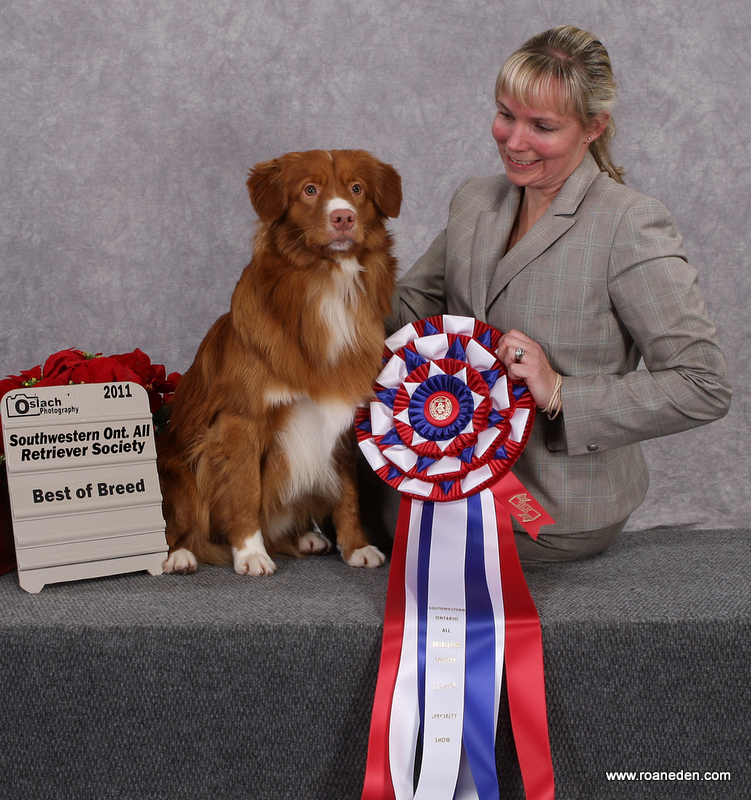 *Harvey wins Best Veteran in Specialty Show ( Ontario Toller Club Regional Specialty) and Best Stud Dog, handled by our daughter Chloe, age 5. 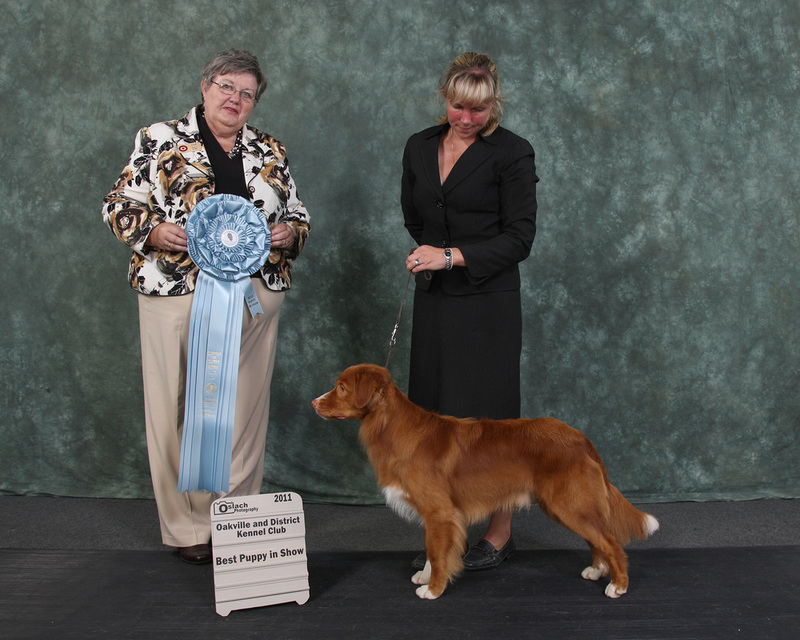 In addition to being a great show dog, Harvey is very trainable and has great skills in the field. He is naturally birdy, loves to swim and has lots of go. 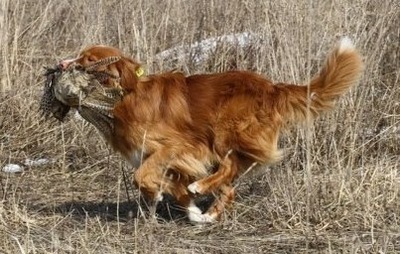 This is a trait he has been passing on to his offspring. 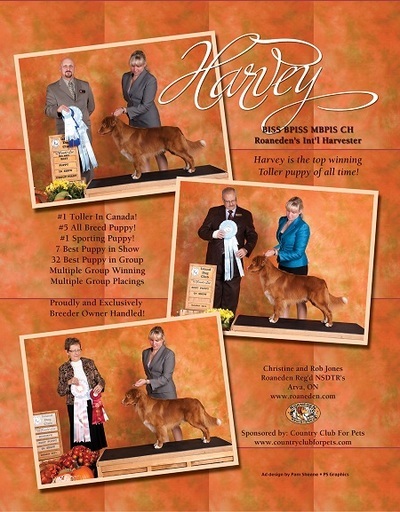 Harvey is currently being shown on a limited basis at select shows and specialties. 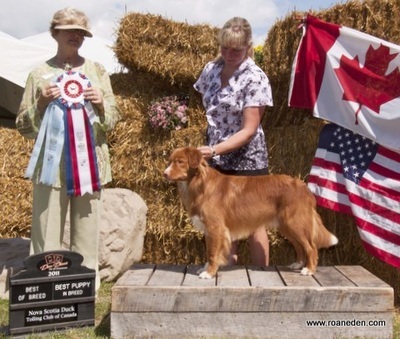 July 2014, Harvey adds another Best in Specialty win to his resume, as he wins the SWO Sporting Group Specialty in Thorndale On. 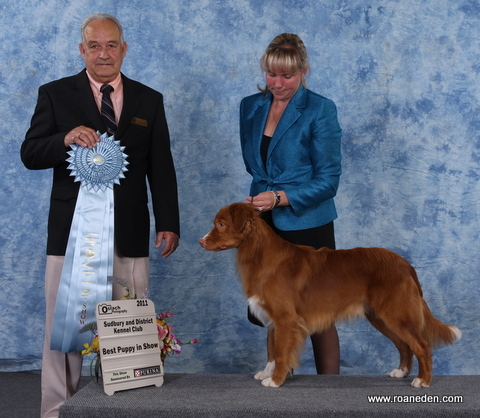 He was expertly shown by my assistant Tony Phillips. 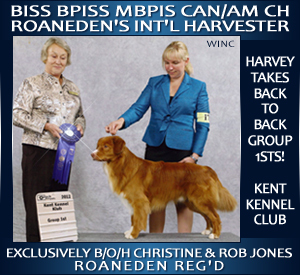 This sets the new record for most CKC Best in Shows won by a NSDTR in Breed History! 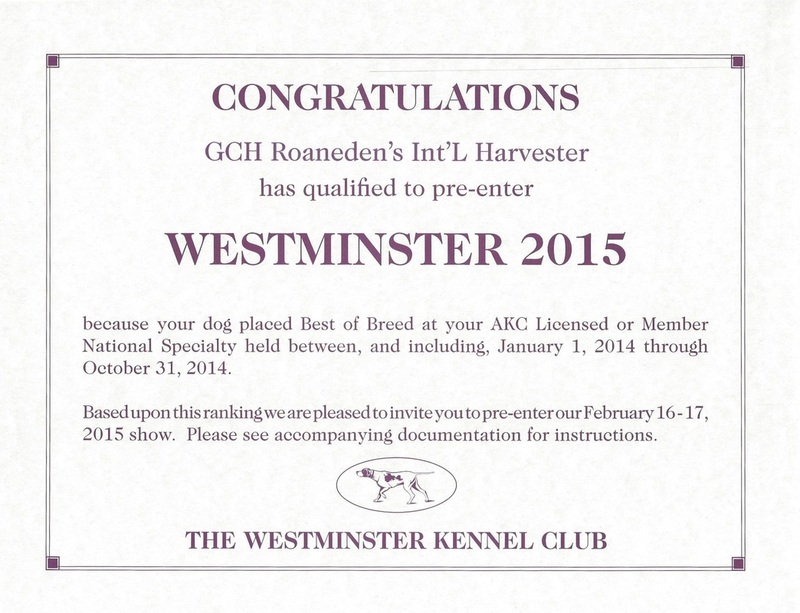 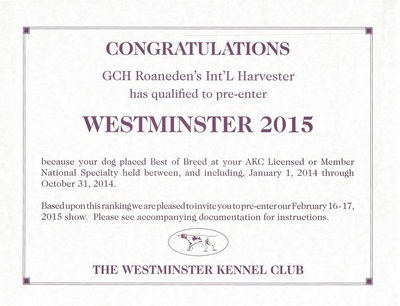 Very proudly Breeder, Owner Handled to this win! 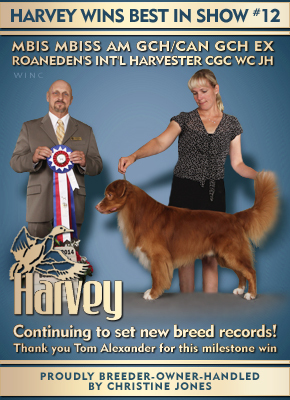 Harvey becomes the record holder for most CKC All Breed Best In Show wins for a NSDTR ! Best in Show #12 ! 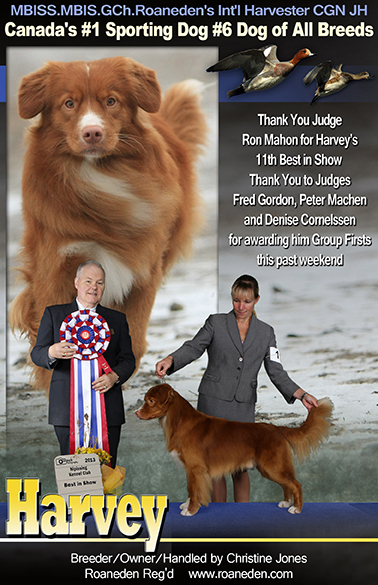 Thank you to judge Tom Alexander, past National Specialty judge for this history book win ! 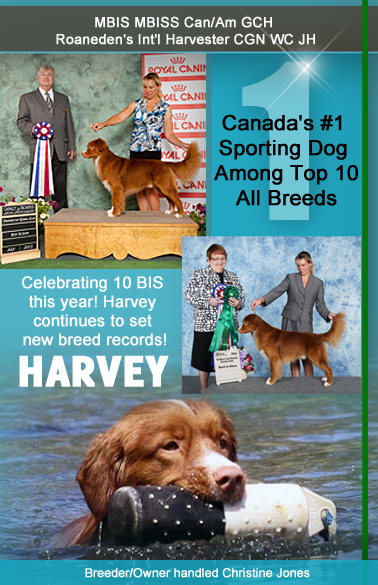 Harvey brings home 11 Best in Show wins so far in 2013! 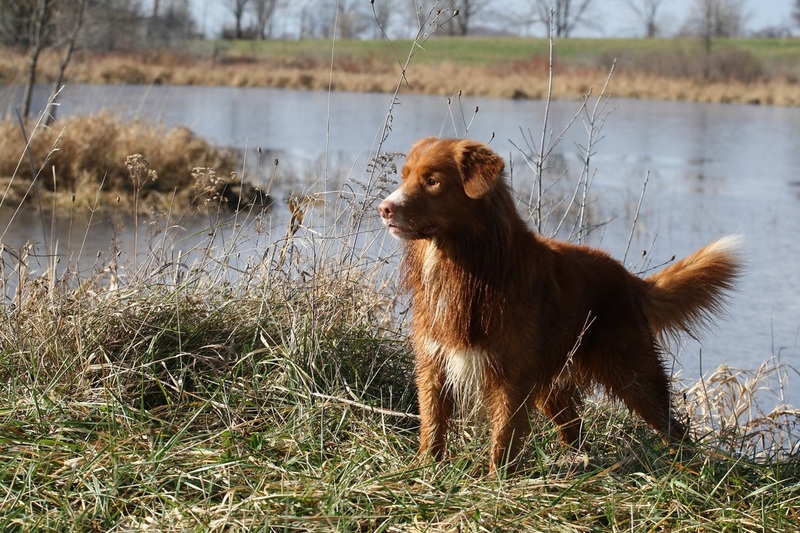 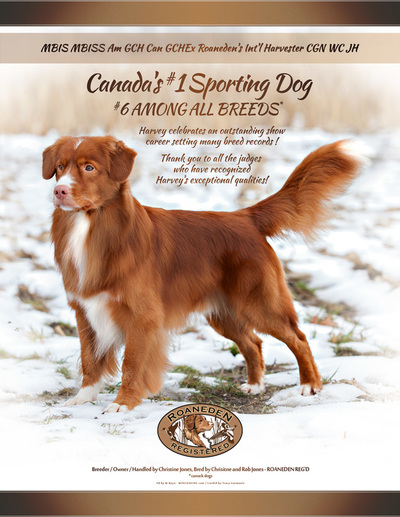 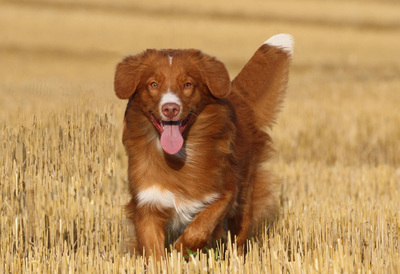 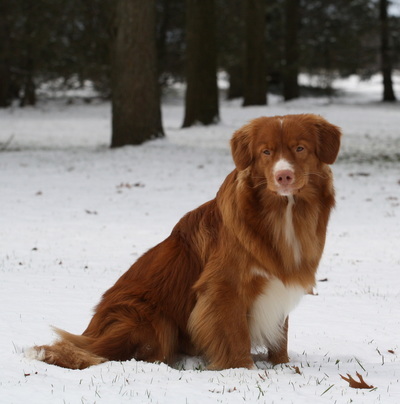 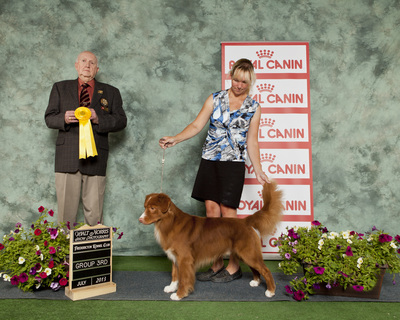 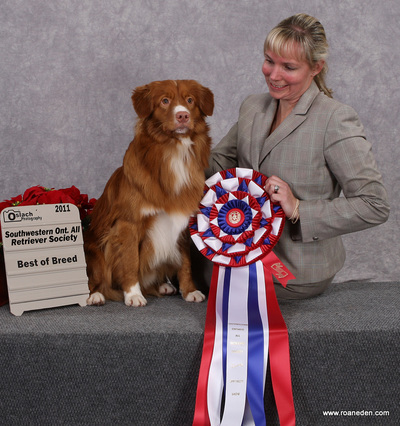 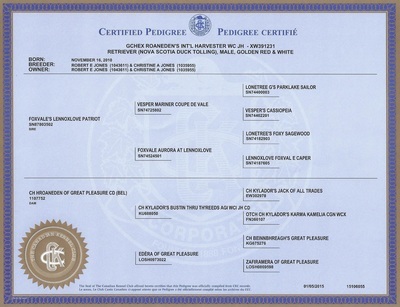 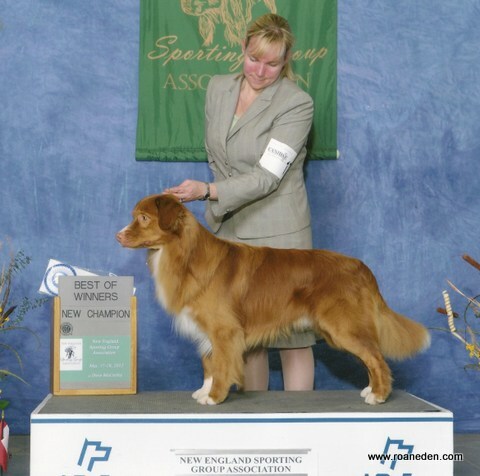 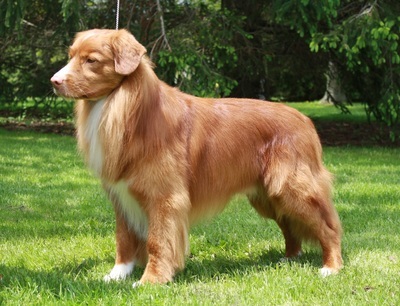 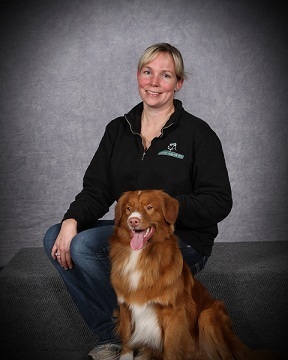 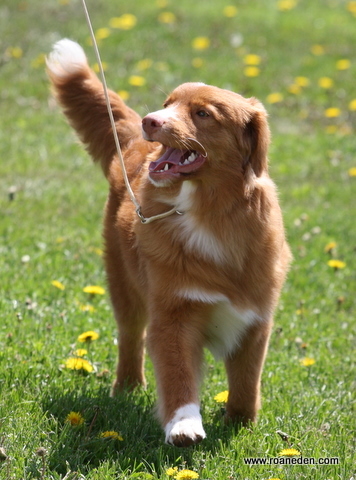 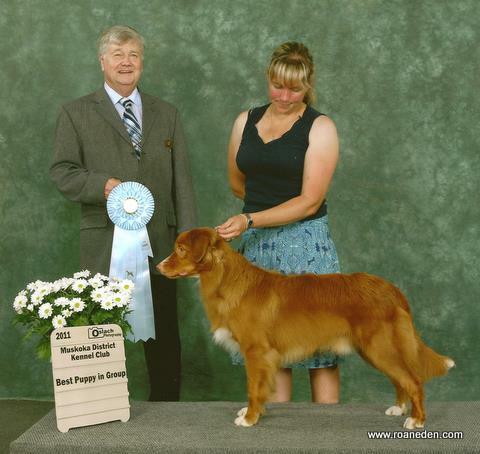 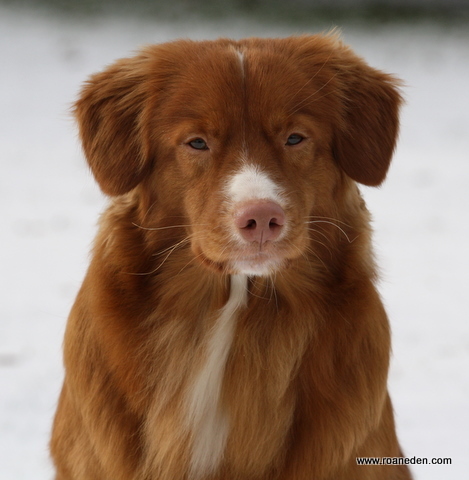 He is currently #6 of the Top 10 All Breeds in Canada and #1 Sporting Dog and #1 Toller in Canada! Follow Harvey on Facebook for up to the minute wins and photos and like his page!